A blind child requires a target that he can practice throwing a ball at, to develop his ability to identify the direction and distance of sounds in everyday life. 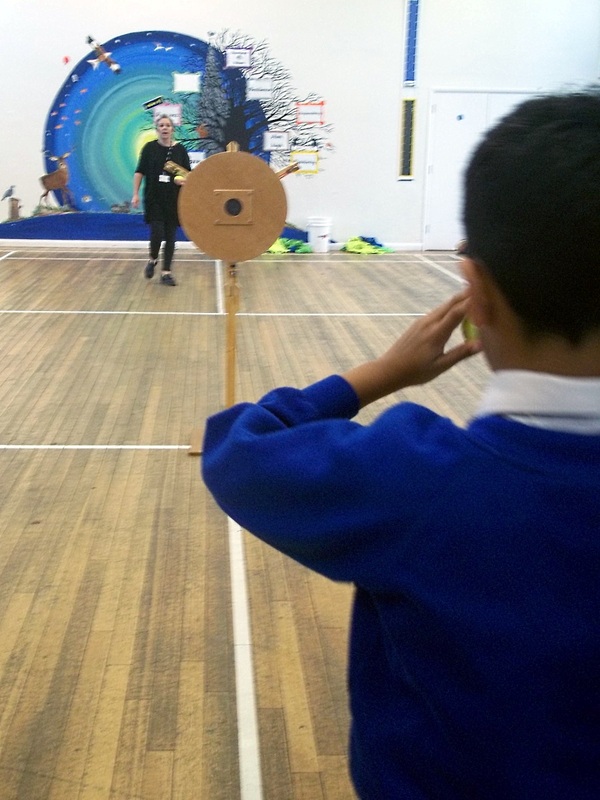 The target emits a continuous sound so that the child can determine its location and a separate sound when he successfully hits it with a thrown ball. The target can be attached to any suitable place, including a football net, cricket stumps, etc. The sensor box uses a Raspberry Pi Zero microcomputer, an accelerometer, a pink noise generator and an audio amplifier with loudspeaker. It is charged with a standard mobile phone charger. The child can now improve his ability to identify the direction and distance of sounds in everyday life, and enjoy himself doing it.